It is the largest and most international gathering of travel trade buyers and professionals in India. Meet face-to-face at OTM and build long-term business relations. . The Indian travel market is the second fastest growing outbound travel market in the world, and is expected to grow at a double digit CAGR to hit 50 million outbound travellers by 2020. The median spend by an Indian traveller was $4500 in 2015, nearly $1000 more than the global median spend. The outbound travel spend by Indians is forecast to grow to US$ 45 Billion by the year 2022. The Indian Govt. has made travel and tourism a key priority in the coming years. 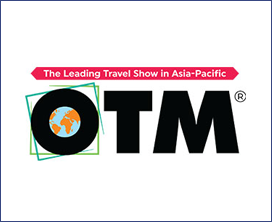 OTM is the leading travel trade show in the Asia-Pacific – with 1000+ exhibitors from over 50 countries and 25 states. Gain access to 15,000+ trade visitors and 800+ buyers from across all industry sectors, supported by our strong hosted buyer program.